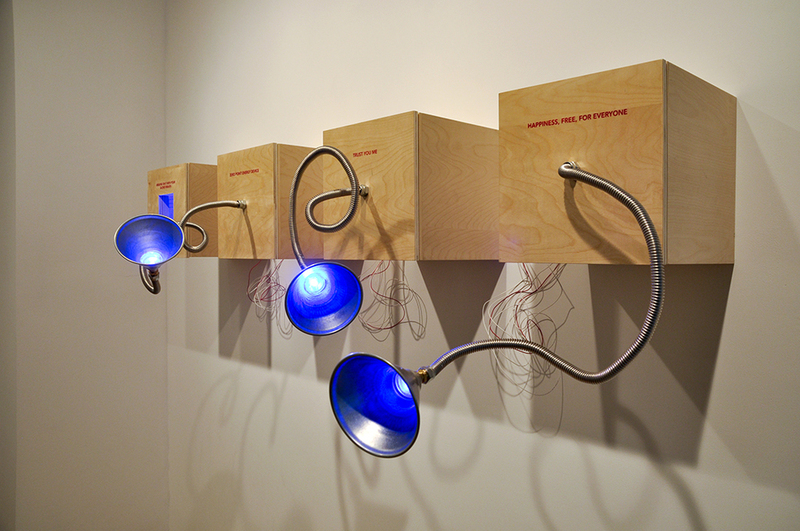 Breathe On It, 2014, plywood, acrylic paint, flexible piping, metal funnel, PIR sensors, arduino microcontroller, cotton, metal, and LED lights. Breathe on It, Documentation of installation at Recitation Gallery, University of Delaware, 2014. Responsive healing boxes: plywood, acrylic paint, flexible piping, metal funnel, PIR sensors, arduino microcontroller, and LED lights. 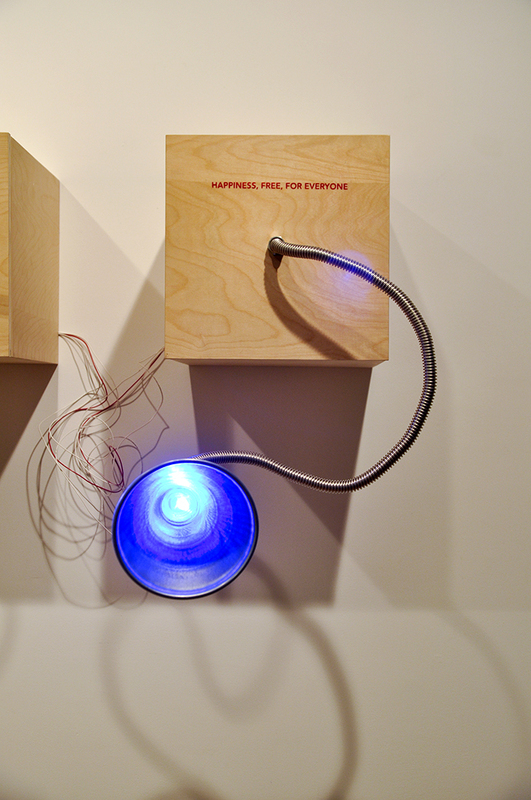 When a viewer breathes on the first box, all the devices light up and vibrate.